Hey friends!! Happy Mother's Day to all the moms out there! 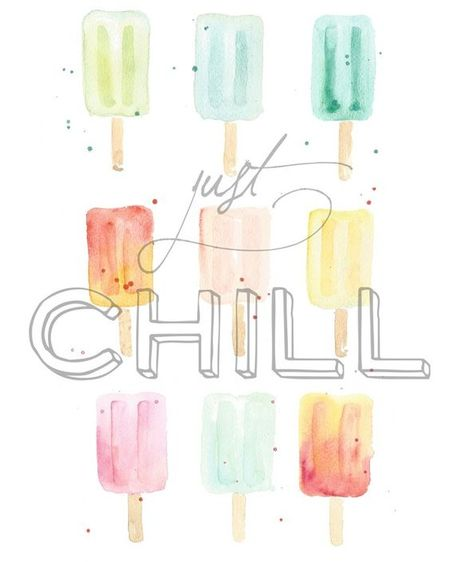 Hope you have a wonderful day. We are going to head out later to spend some time up north of us in the little town of Woodenville, WA. They have a beautiful nursery called Molbak's and we are going there. And there will most likely be a few other stops along the way!! Have a card to share that I made using the current MFT sketch and the colors from ColourQ. 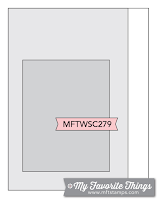 Every week I take a look at the MFT sketch and tell myself that I'm going to make something, but it never happens. I was determined to play along this week with some yummy new MFT stamps and dies. I used the MFT Beautiful Blooms stamps and dies for the card. Using my mini MISTI made it so easy to line up all the little flowers... love it!! 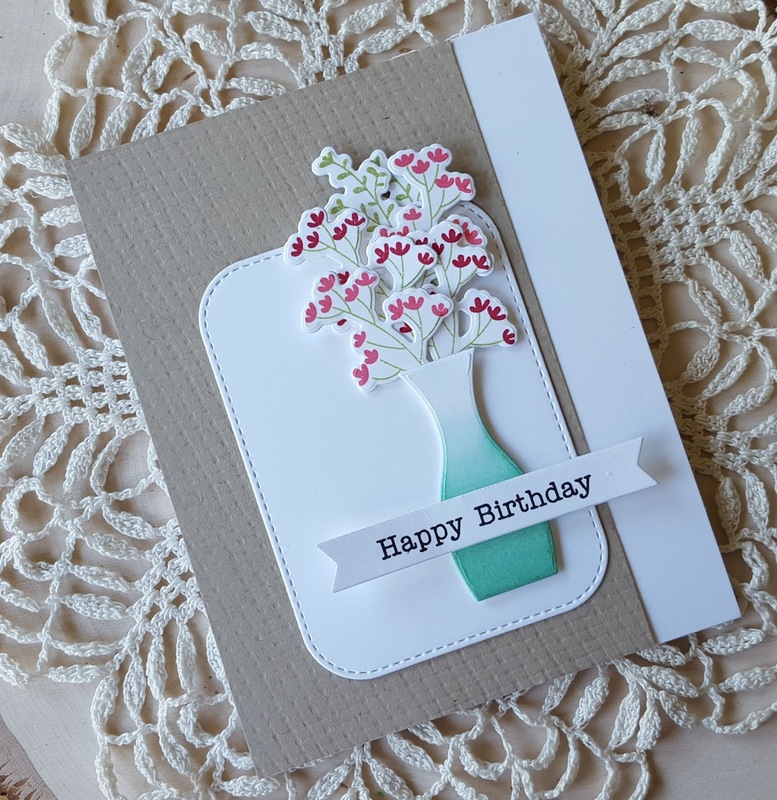 The vase was die cut from white cardstock and then I inked it with some Stampin Up! Coastal Cabana to look like it was full of water. 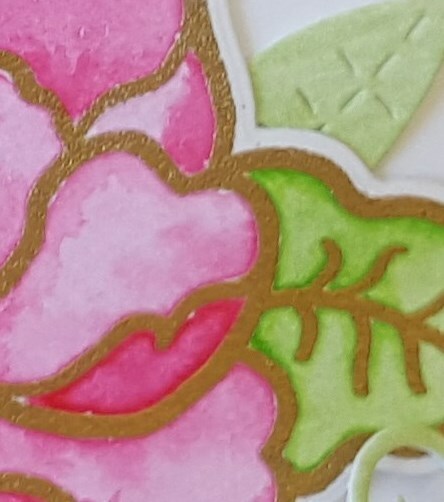 The flowers and stems were stamped using SU! 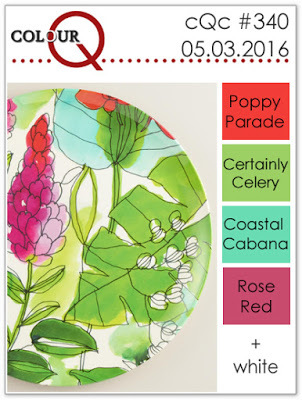 's Certain Celery and Rose Red inks, as well as Hero Arts Pale Tomato. 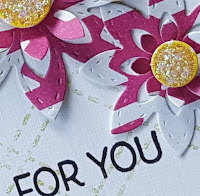 The panel behind the vase of flowers was die cut using an MFT Inside and Out die-namics die. Love that stitched edge. To break up all the white I added a panel of kraft cardstock that I embossed with some burlap for a bit of texture. 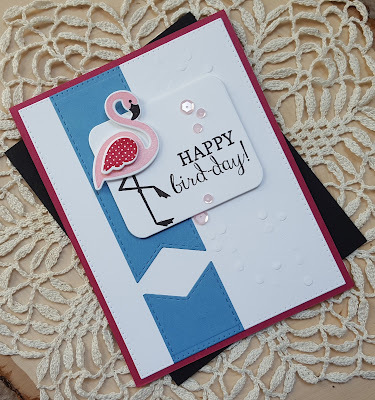 Finished things up with a little banner stamped with a happy birthday sentiment. Hmmm... now I think maybe I should have found a "Happy Mother's Day" sentiment! 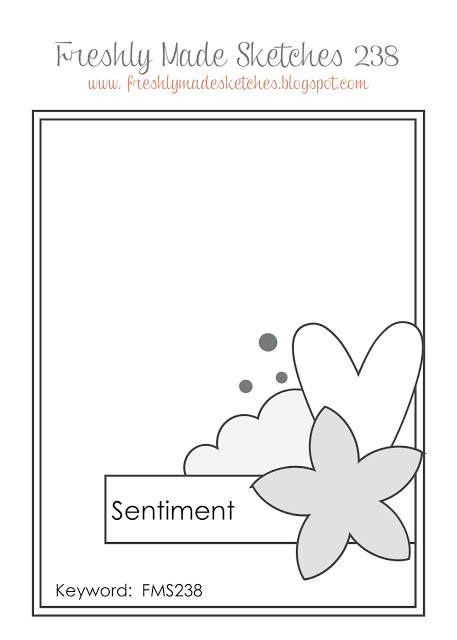 Since this is a pretty clean and simple card I think I will also add it to the Creative with Stamps line up. Hey friends!! 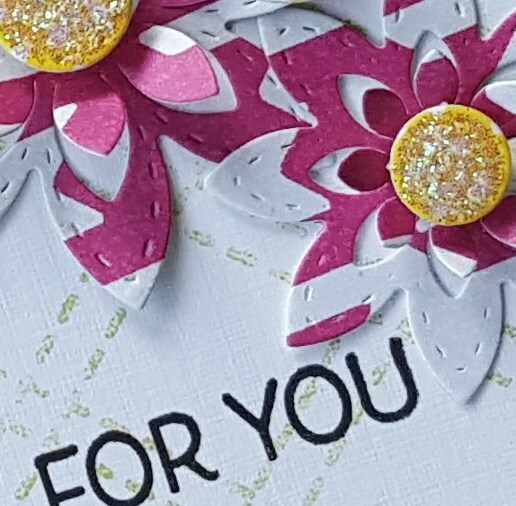 Popping in with a couple of cards to share that I made for a few challenges. 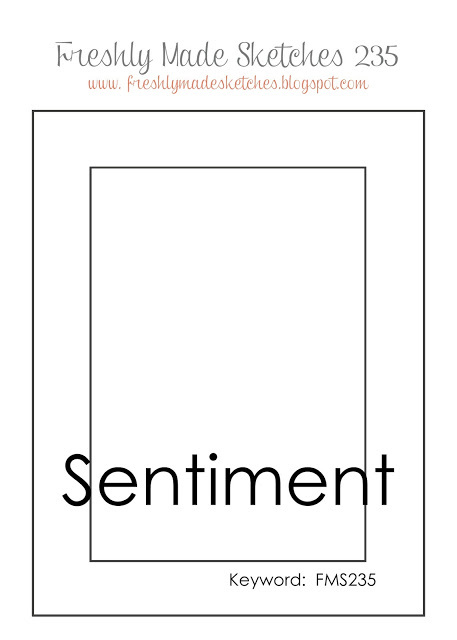 The first card uses the current Freshly Made Sketches layout. 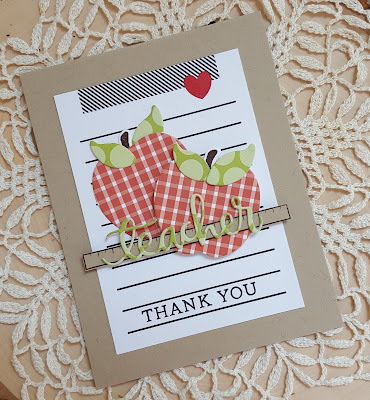 This week has been teacher appreciation and so I wanted to make a card for my little guy's teacher. I recently got the Reverse Confetti set All Apples and the matching dies. I also purchased the RC School Days quick card panels and so I used two of them, along with a quick card panel from another set, Hoppin' Dots, to make my card. The little ruler is from Simon Says Stamp as is the teacher word die. The thank you is from PTI Botanical Blocks stamp set. I die cut the apples from a quick card panel from School Days and the leaves from the Hoppin' Dots panel. The word teacher was also die cut from Hoppin' Dots several times and then adhered together. The second panel from School Days was used as my base layer for all the die cuts. 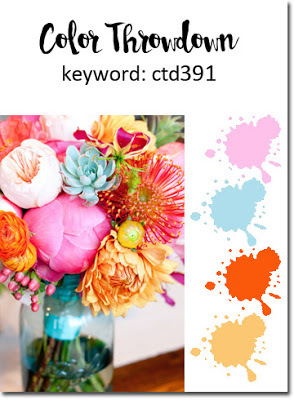 To get a nice placement of the thank you I used my mini MISTI. The second card is for the current Color Throwdown challenge, as well as the current Simon Says Stamp Wednesday challenge: stencil it. 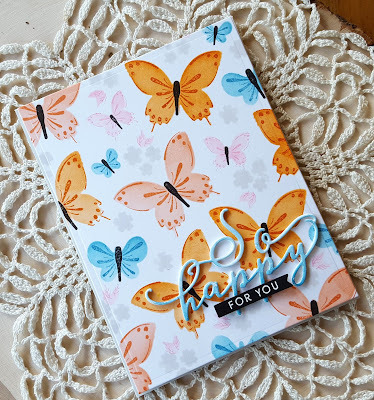 I started with a panel of white cardstock and then using the stencils from the PTI Color Pop: Butterflies mini make it market kit and all the colors in the combo I created my background. 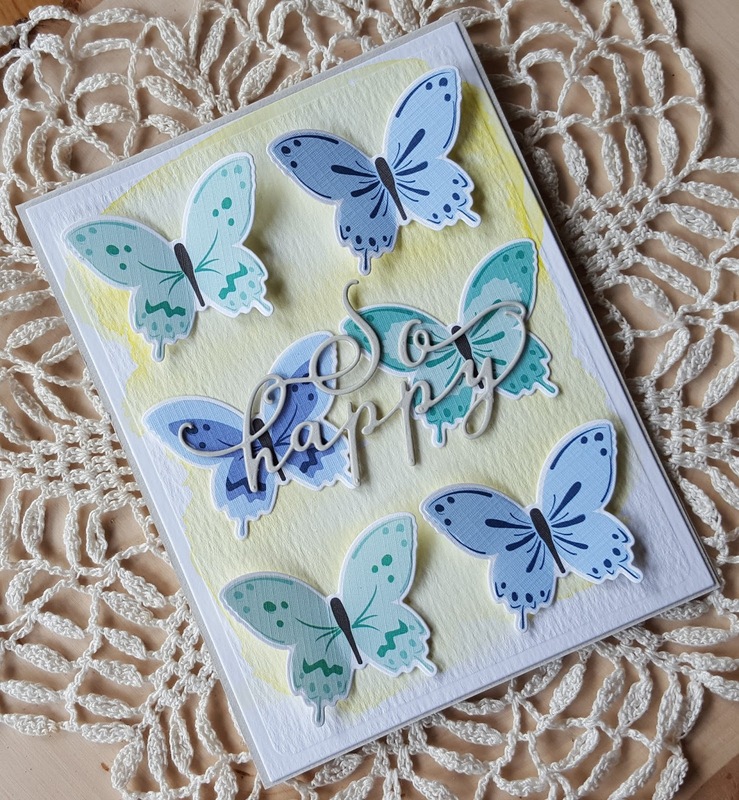 Once the stenciling was done I went back in the with detail stamps and used the same inks to add those to the butterflies. The little flowers were added using light grey ink and then added the bodies of the butterflies using black ink. 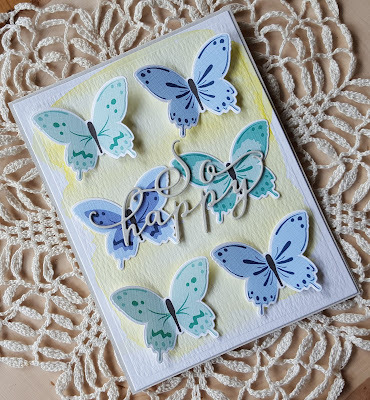 The sentiment, also from Color Pop: Butterflies was die cut four time and adhered together. I added the light blue ink to create a sort of ombre effect. 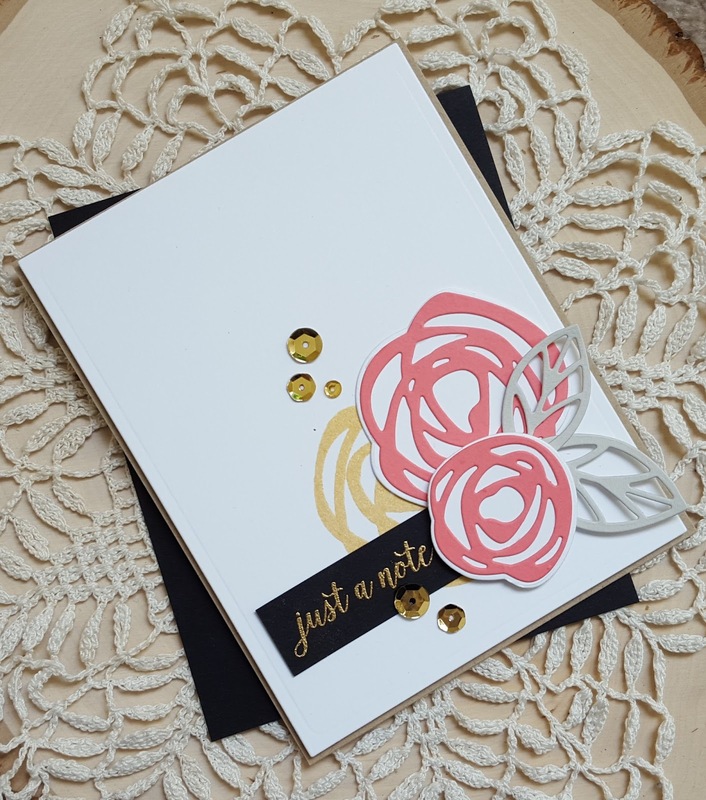 The sentiment was stamped on black cardstock using watermark ink, white embossing powder was added and heat set. 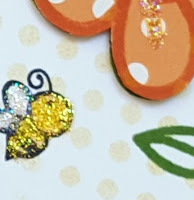 I then cut the banner out using the banner die that comes in the Color Pop: Butterflies kit. The panel was then die cut, the die cut sentiment and banner were adhered. Love the PTI stencils. 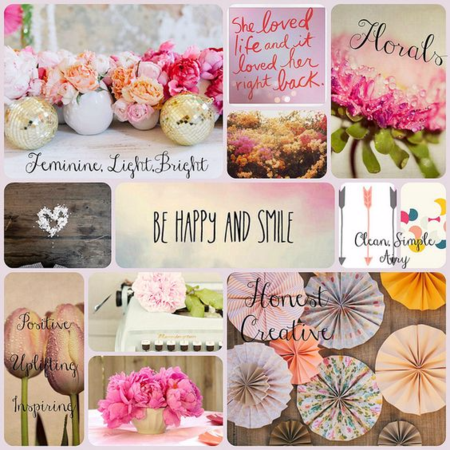 They are so easy to use and super sturdy!! Hey friends!! Wow... gorgeous weather, again, here in the Pacific Northwest!! Today is supposed to be in the 80s!! Popping in with a quick post. 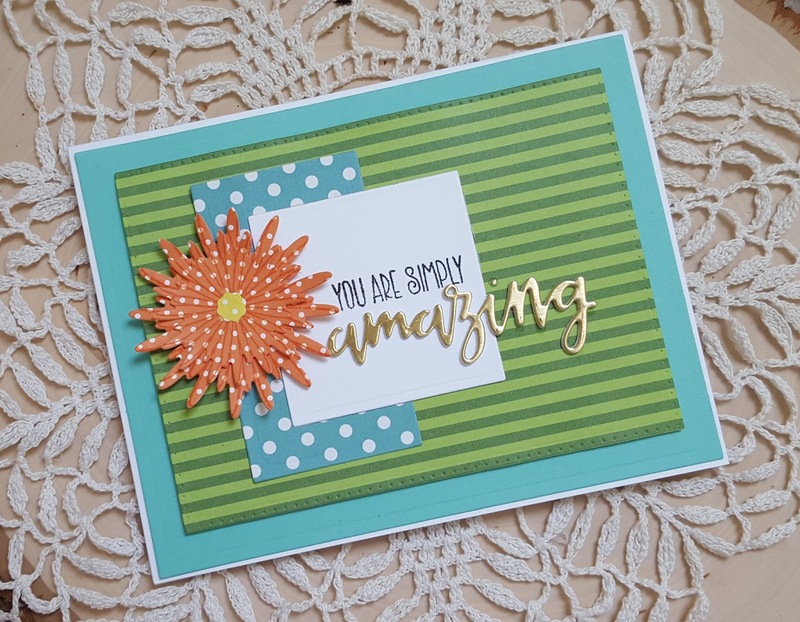 I always try to make something for the Essentials by Ellen challenges and the door will soon be closing on the current pin-sights challenge so had I to get something made. I have been playing around with my Kuretake Gansai Tambi watercolors and I think I'm finally getting the hang of them... YAY! After stamping the balloon image from Up the Happy in watermark ink three separate times I applied white embossing powder and heat set them. 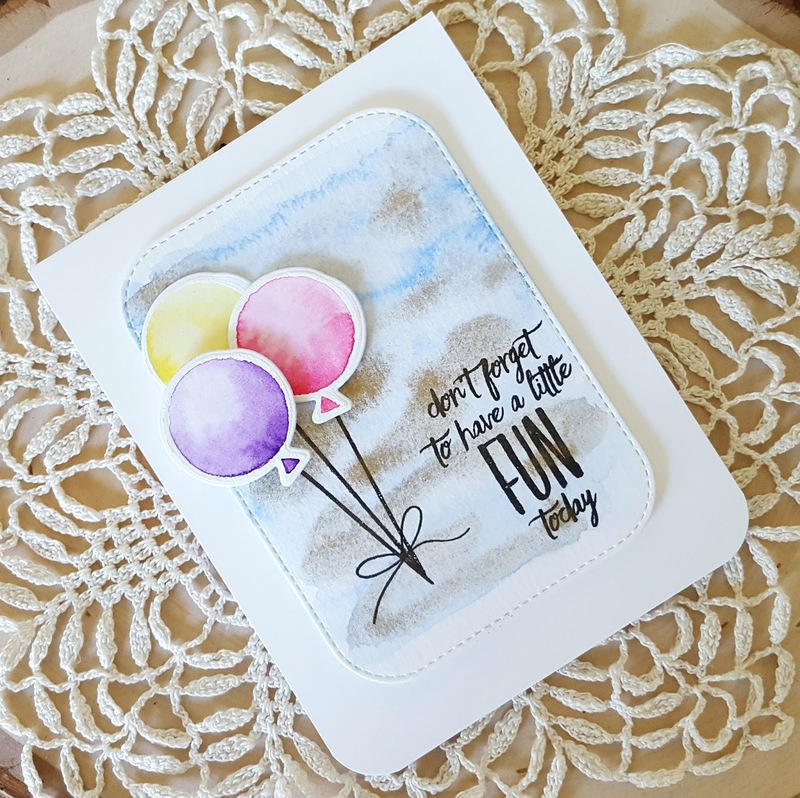 Each balloon was watercolored using colors from the palette provided in the challenge and then die cut once dry. 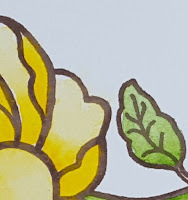 I watercolored a panel using another color from the palette and then added some gold. Let it dry and die cut it with an MFT inside and out stitched rectangle die. I recently got a mini MISTI and I must say it is a pretty nifty tool. I was able to get a nice stamping of the sentiment using the MISTI. The strings were stamped and then I added the balloons. A little bow from the Merry & Bright set was added to complete the scene. Going to add this to the current Simon Says Stamp Wednesday challenge of anything goes. 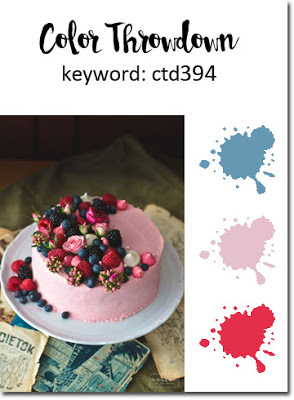 I'm also going to add this to the new Creative with Stamps challenge of CAS... 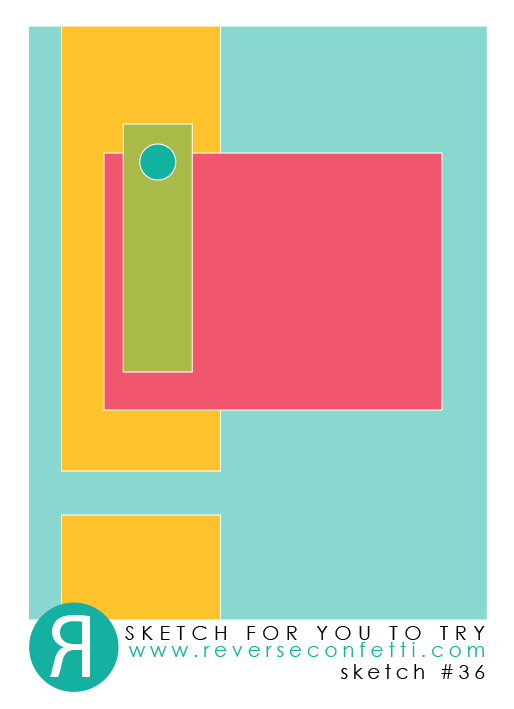 I think this is pretty clean and simple.